uAttend, a leading provider of employee time management solutions and time tracking software, is a proud sponsor of this year’s Corona del Mar to Cabo San Lucas yacht race. As a provider of employee time and attendance solutions, including web-based time clocks and biometric fingerprint time clocks, uAttend has jumped on-board as a top sponsor of this year’s event. As one of the fastest growing service providers of Time Tracking Software, uAttend is proud to sponsor the 2012 Corona del Mar to Cabo San Lucas Yacht Race. The Corona del Mar to Cabo San Lucas Yacht Race is a fun and festive invitational race that starts off in Newport Beach, CA and runs approximately 800 nautical miles to finish in Cabo San Lucas, Mexico. Started by The Balboa Yacht Club in 2008, the invitational is held in even years and features world-class yachts and skippers. 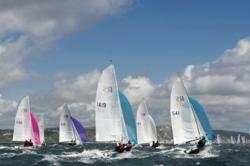 This year’s event is scheduled to begin Friday, March 30, 2012 with more than 30 boats expected to participate. With a diverse range of employee time and attendance products including swipe card time clocks, biometric fingerprint time clocks and cloud-based time tracking solutions, uAttend has become a major player in the employee management market. uAttend is owned by Processing Point, a prominent service provider that delivers cost-effective business enhancement products and services such as cloud-based employee time tracking, merchant credit card processing and mobile payments technology. If you’d like more information about uAttend, or would like to order uAttend Time Clocks or Time and Attendance Software, please call the uAttend office at (800) 518-8925 or email info(at)trackmytime(dot)com. uAttend is located at 2796 Loker Ave., Suite 111, Carlsbad, CA 92010.